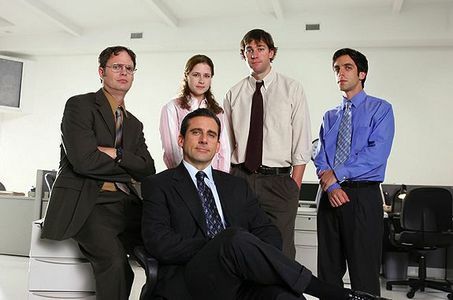 So this summer I watched through The Office because I honestly had never watched any of the seasons all the way through except the first one. Now I have caught up and am ready for this week's episode! Only took me 7 years, but here I am! Watching Michael Scott's final episode at the end of Season 7 was definitely an unforgettable experience. Here is a character that has been with us for seven years, and now he is gone. Though The Office continues, it will never be the same without its central character, the man who got most of us to watch the show. I'm willing to give the show a chance, to see what they do with it. But I don't want to ignore the fact that an era has passed. 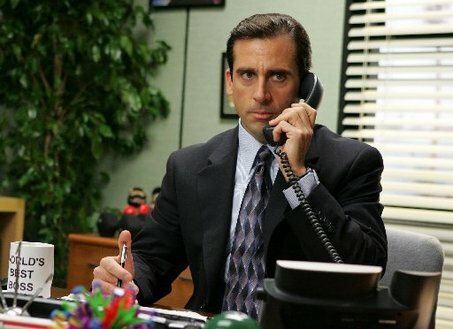 Michael Scott will never grace our television screens again. The man who has offended just about everyone, will now no longer keep the people of America laughing. He has left the show in capable hands, but it is still sad to see him go. TV is such a strange thing. We are able to bring people into our homes for years, get to know characters and "live" with them through their fictional lives. It's not the same as a movie, where the story begins and ends in one sitting. They are with us through a good part of our own life. But eventually they must go. We are changed by them, and if they are good, we will never forget them. They are like real people, who we must say good-bye to eventually. The story doesn't last forever. Time moves on. I wish the show well as they trek on. May what started well continue on with a great ending. May the office continue with the memories of Michael to guide them. May they move on, changed by a person they know and love. And may the same happen for us. Each person we know has an impact on us. As we soldier on into new eras, with people new and old, fresh or familiar, may we continue to be changed by those around us. May we remember those who have touched us, whether in reality, or on television. May we move on, but never forget. Michael, you will always be with us. Thanks to DVD's, Netflix, Hulu, and reruns, you will continue to make us laugh. It was a good run.